As summer approaches, more and more people are spending time in their backyard. Creating the perfect space to create family memories doesn’t have to cost an arm and a leg. 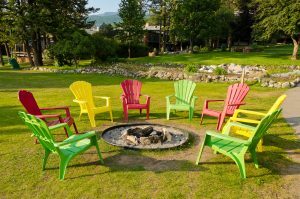 In fact, there are some great creative backyard landscaping ideas that you can complete in a weekend and leave you with a design you can enjoy this season. Here are some great ideas from our design experts. 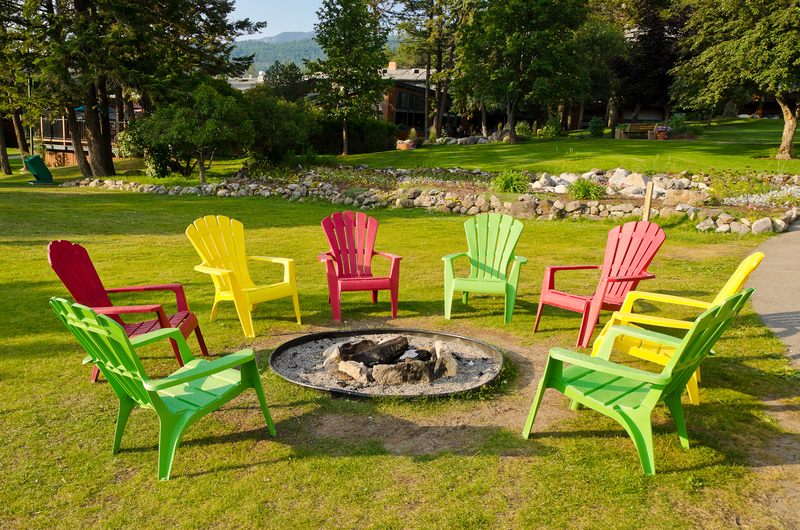 If you have an aging table set in your backyard, give it a fresh coat of paint and add new cushions. Have fun and paint your set mismatched colors to provide with an eclectic and whimsical look. If you have young kids, get them to put a handprint or two on the chair’s seat and turn an old piece of furniture into a new forever keepsake. Think outside the pot. Use hollow objects that you have around your home as a creative planter. Filling a birdbath with some soil and trendy succulents is an easy and quick way to add a modern twist on your garden. Succulents are easy to maintain and come in many shapes, sizes, and colors to match any backyard style. Use a teakettle, old drawer, or coffee pot for a fun twist on a classic look. If you want to take your backyard lounge area to the next level, just add some fun outdoor water-resistant string lights. Hang a few strings across your sitting area and create a relaxing “on vacation” vibe that will make you want to spend all your time outside. Make sure that you provide enough space for the tallest of your family members to walk freely underneath. For more creative backyard landscaping ideas, contact the design experts at Blooms Landcare. Call (817) 688-5352 to schedule your appointment today.